My Cluttered Corner: Precocious Paper Blog Hop! Do you know Tessa, owner of Etsy shop Precocious Paper? 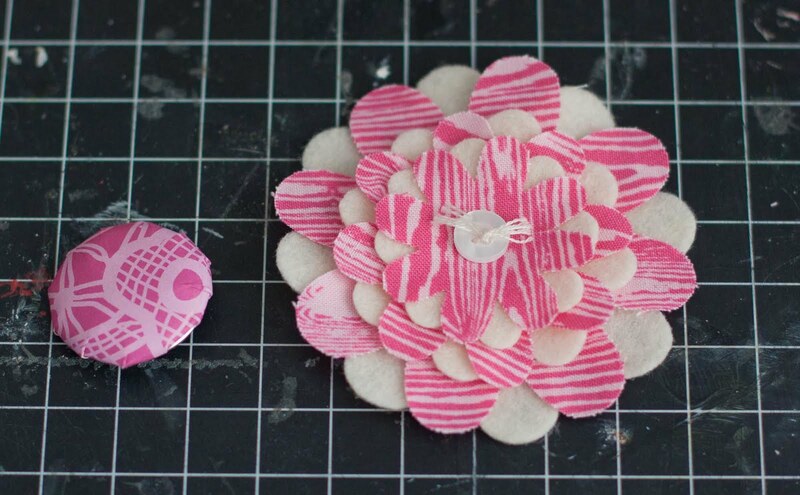 If you are not familiar with her creations, run right over to Precocious Paper and check out the many gorgeous flowers and goodies she has to offer. Not only is Tessa exceedingly talented, she is also super sweet and so for her 30th birthday she is offering all kinds of prizes if you take part in this Precious Paper blog hop. If you just happened upon my blog (thanks for stopping by) you will want to start the hop at Tessa's blog. You definitely want to start at the beginning of the hop and make your way all the way through because the birthday girl is offering tons of prizes along the way! If you complete the entire hop, leaving a comment on every designer’s post, you will be entered to win the grand prize – the September, October, November and December Samplers! 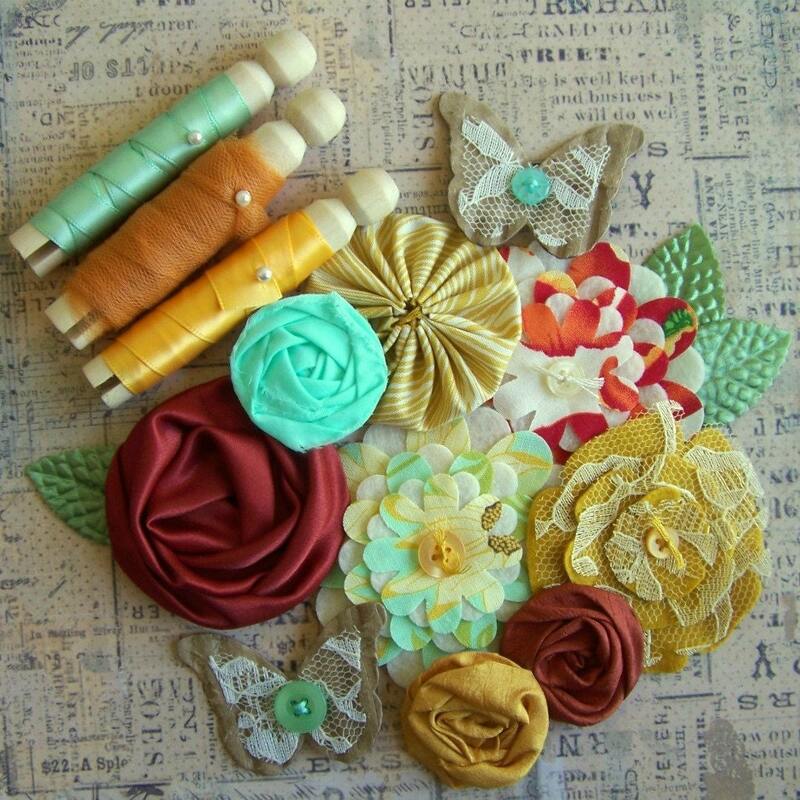 That’s a $54.00 value and dozens upon dozens of hand-crafted scrapbooking embellishments. Follow Tessa’s blog to be entered to win a $20.00 credit to the shop, and if you follow Precocious Paper on Facebook, you could win another $20.00 credit. 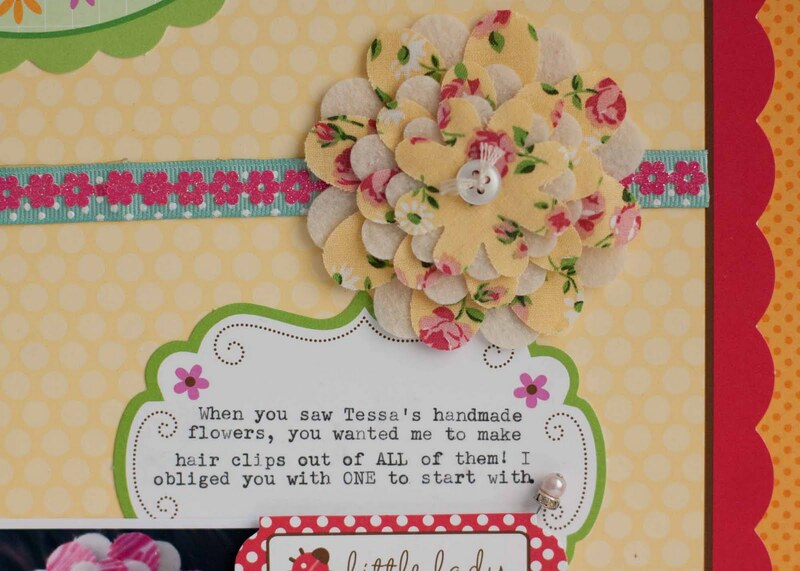 Tessa is also giving away surprise credits to blog hop participants, so be sure to leave a comment on this post! Now on to my projects. Tessa sent me a handful of gorgeous layered flowers to work with. 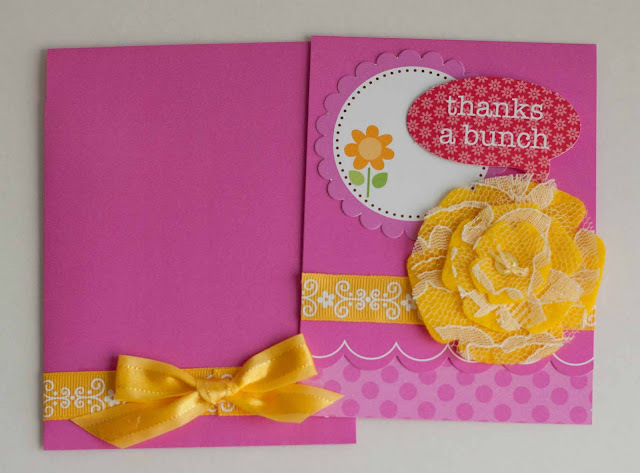 I suppose you could totally use them all on one project, but I had all sorts of plans for these beauties For example, one on a brightly colored but simple card steals the show. Next, I covered the Twist Daddy with Therm O Web double sided sticky tape. The quickest hair accessory I've ever made in my life because Tessa did all the work for me! Tessa has added many new things to her shop as part of the celebration, so be sure to stop by and take a peek. If you use this code during check out RKBBHFREE you will receive free shipping and a free thank you gift. (Within the US, there is no minimum purchase needed to use the free shipping code; international buyers must make a $5 minimum purchase). You will be able to use this free shipping code at Precocious Paper from now until September 5th! But before you go, please dont forget to leave me a comment here! You may leave a second comment if you become a follower of my blog (for an extra chance at the random blog hop participant prize) or if you want to let me know you already follow. VERY cute, Rebecca! Love what you did with Tessa's goodies. I love the hair clip-and that page is awesome!! Cute cute clip and layout! Gorgeous projects, I love that you made a layout with the photograph of the hair clip, fantastic! Gorgeous! I love the layout and your hair clip tutorial is just perfect! Thank you so much for sharing your talents and celebrating with me! 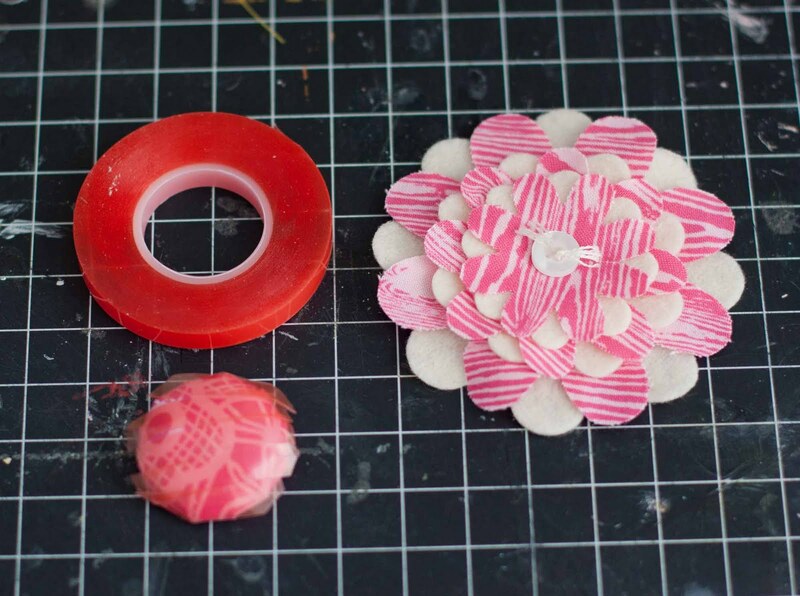 Love how you've used Tessa's goodies! What a great idea! so so pretty! Too cute!!! My daughter was the same way when I got some of Tessa's flowers for the first time. She wanted them ALL! Love the hair clip AND the layout!!!! Oh, wow. I love your projects! Each of them better than the next. I might even make one of those flower clips for mysef. :D Thanks for the inspiration! very cute hair decoration and I love the layout. My favorite layout so far. Love your clippie, and I just love that you made a LO about your clippie! So sweet. I've been wanting to make a hairclip out of one of Tessa's flowers for my daughter for a while now but it seemed like a lot of work. You made it look so easy!!!!! so adorable! I love the flower clips! Awe! I love how you did a layout using the flowers. It goes awesome together! Super cute!!! I have one left over and my daughter wants it on a headband! She claimed it from when I opened the package :D Love the projects! Beautiful layout Rebecca.. ur DD looks so happy with her Pretty hair clip !!!! The clip is so fun and I love that you made a layout about the hairclips! CUTE layout! Love your daughters clip too!!! My daughter does the same thing anytime I get anything from Tessa! 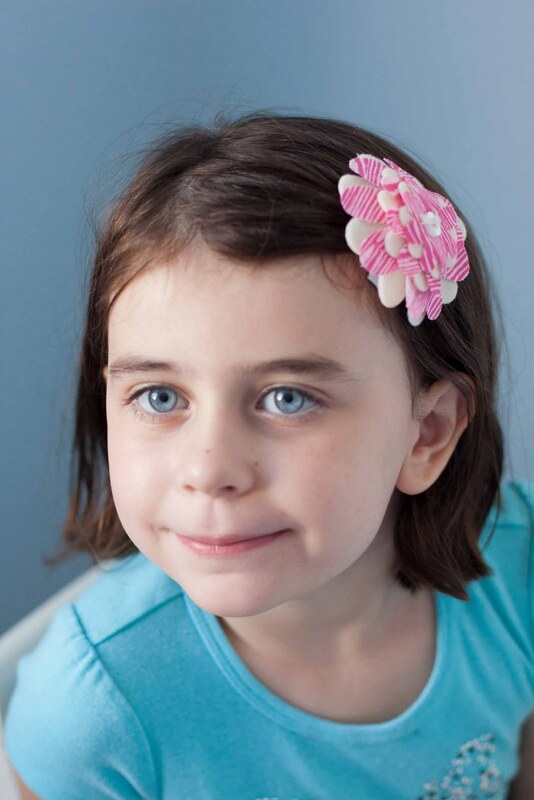 I love that you captured the story about the flower hair clips. Great projects! oh awesome!!! I did just stumble on the hop...lucky me! gorgeous and I love how you did the lo about the clips and the tutorial. I love how you tied it all together, even with the pictures in the layout. How fun! Gorgeous! i love that youve made a LO about a project. multi creativiness! 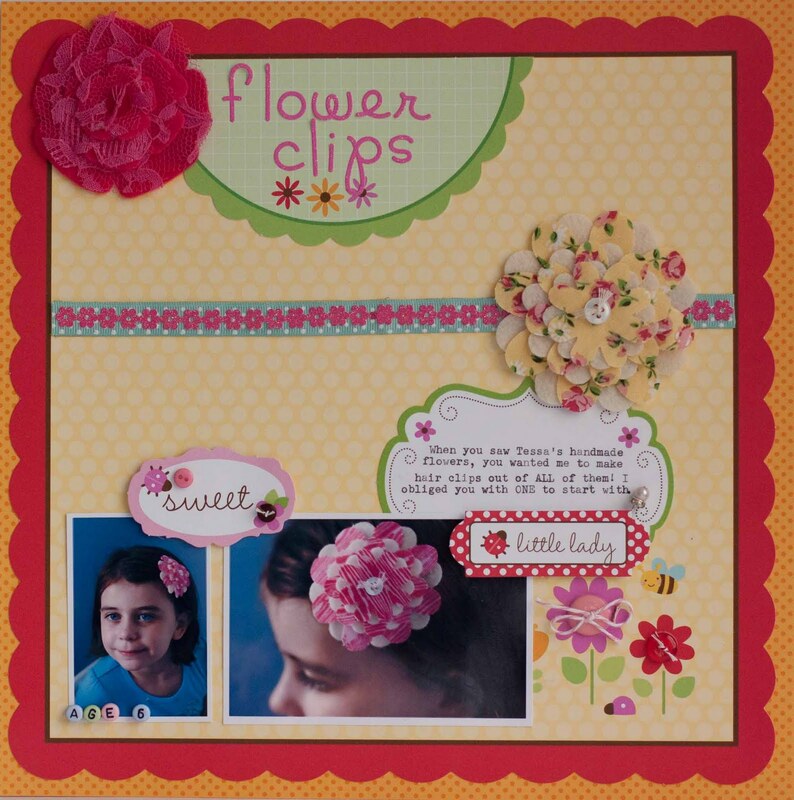 adorable idea to create the layout about the clips you've made! Your daughter is one lucky lady! TFS the tutorial. I love how you made the one into a hair clip. Soo soo pretty! Great colors for your layout and card, love the hair clip too. 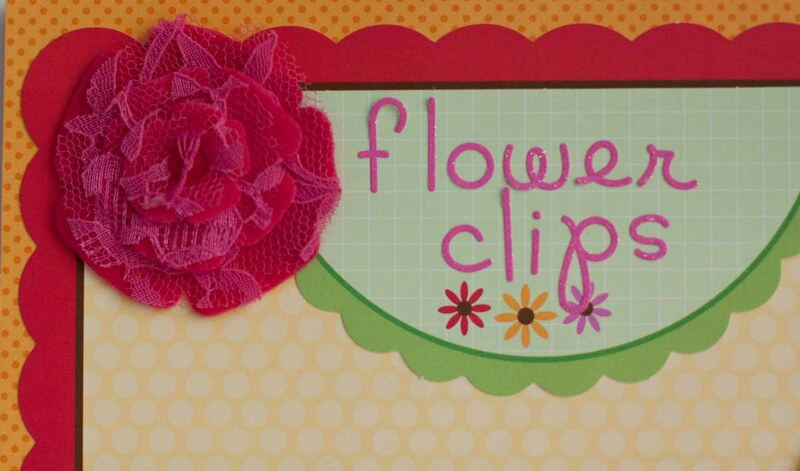 oh wow love the pretty flower clip!!! I need to get some of those!!! Gorgeous!! Love the headband (wish I had a little girl to make headbands for!!) and the LO. Those flowers are sooo FAB!!! 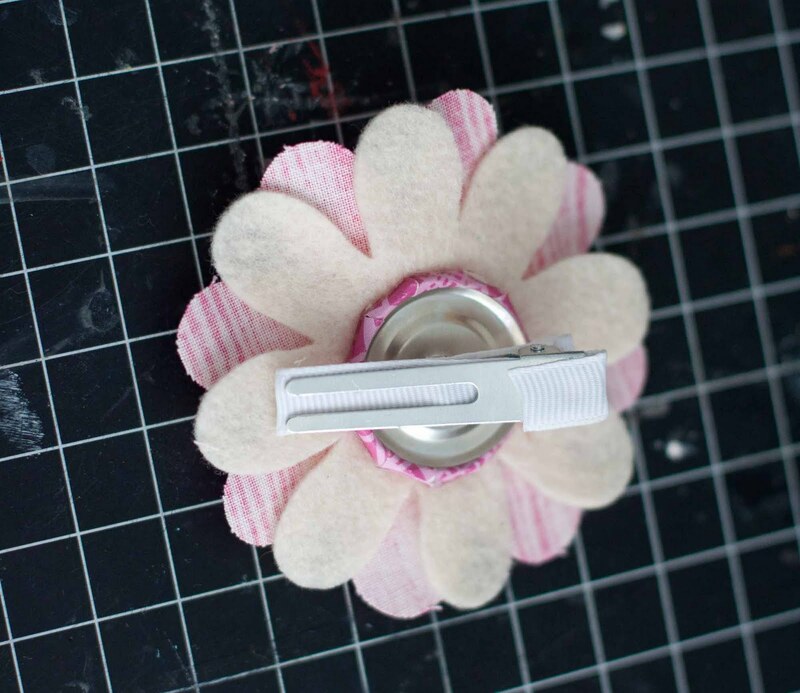 Love that you turned one into a hair clip for your daughter. 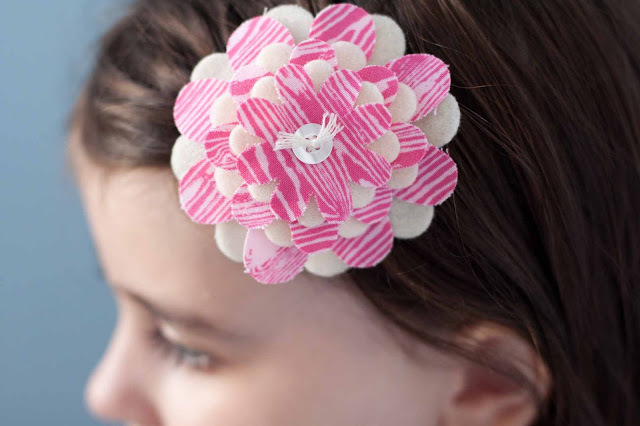 Any little girl would love the hair clip! Super cute! That hair clip is perfect! Love the tutorial and love that you did a layout about the story behind with the creation of the hairclip! Great projects! I love the sweet card you made.. How cute is that?!? I also love the tutorial and the layout you did! So creative and so pretty! I hope your night is an enjoyable one!